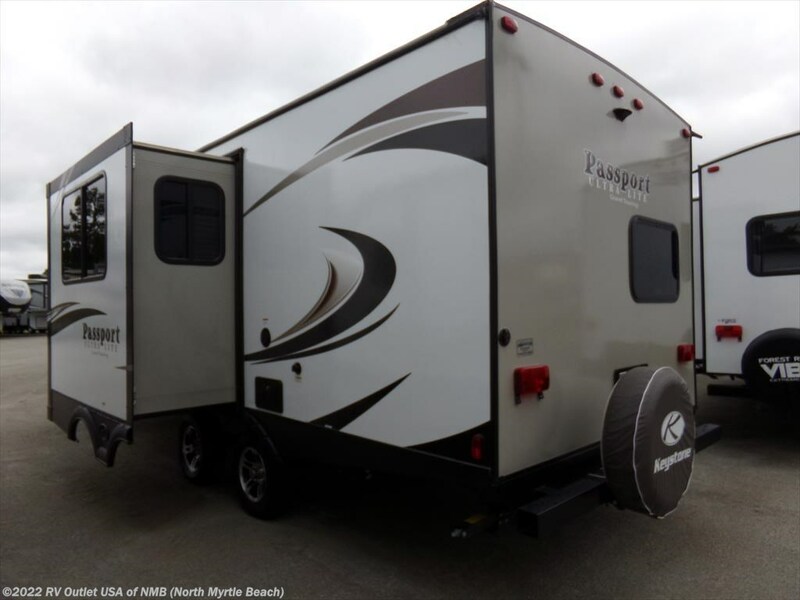 This is a great, lite weight travel trailer that weights only 6800 lbs and easily towable. 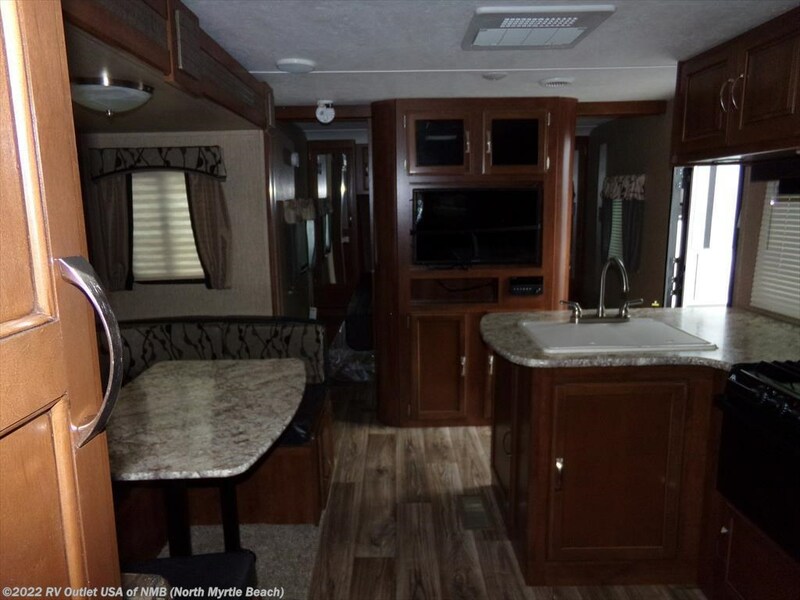 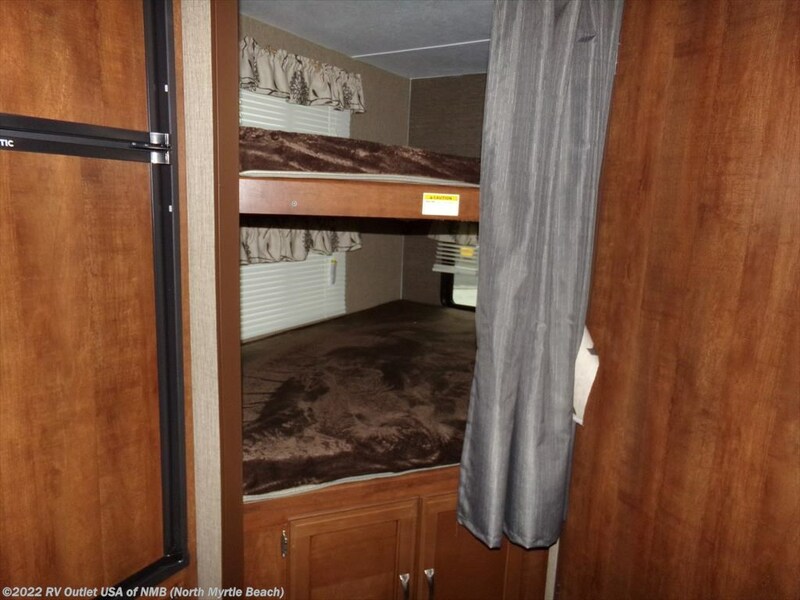 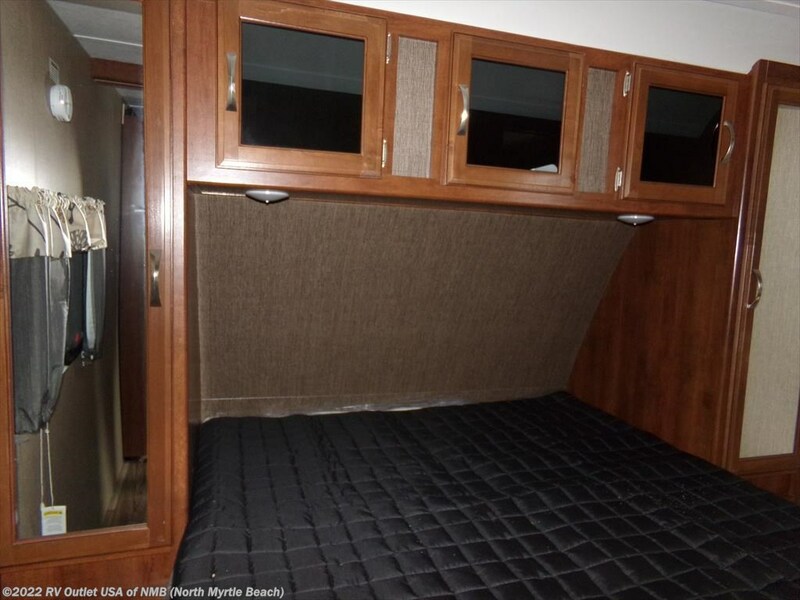 The front master bedroom of this RV offers a queen bed with overhead cabinets, side wardrobes and plenty of room for moving about. 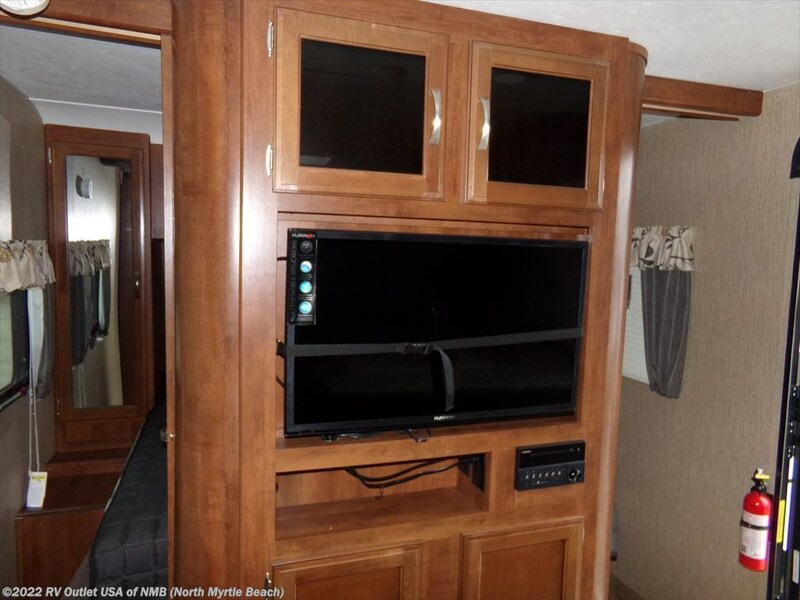 On the back side of that is the entertainment center with stereo. 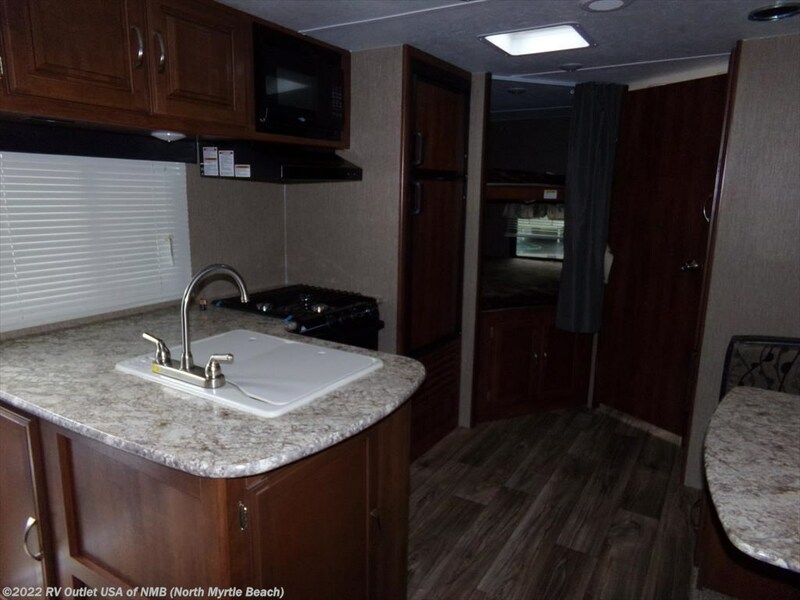 The center living area offers a spacious galley on the door side fully equipped with a refrigerator, microwave, stovetop oven and a double sink. 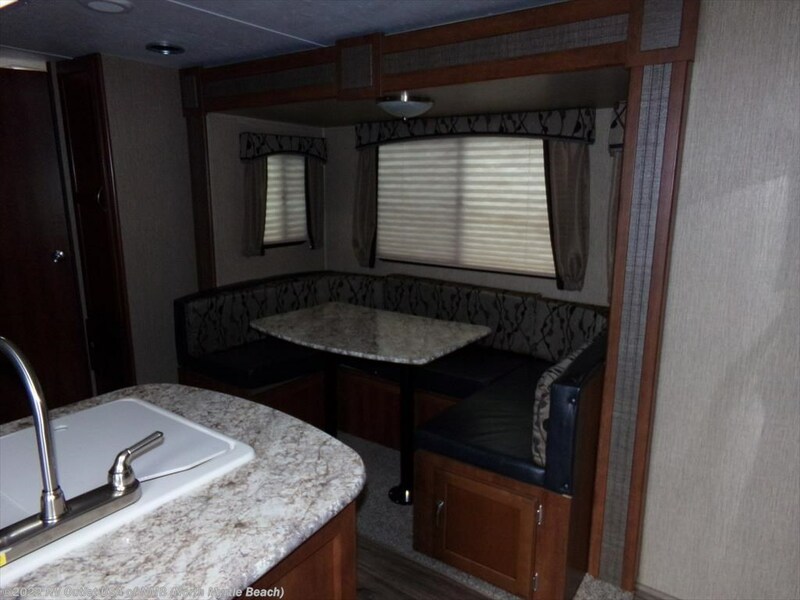 Across from the galley is a U-shaped dinette that makes into a full size bed for even more sleeping room. 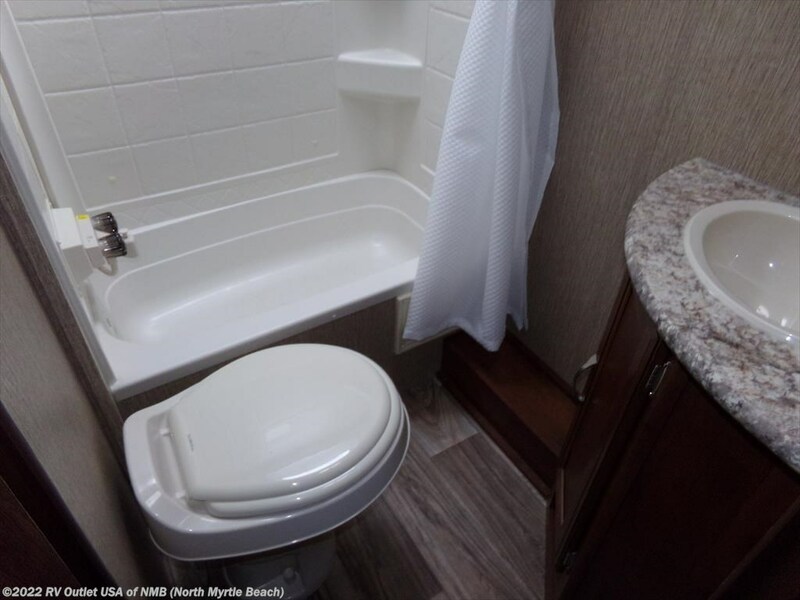 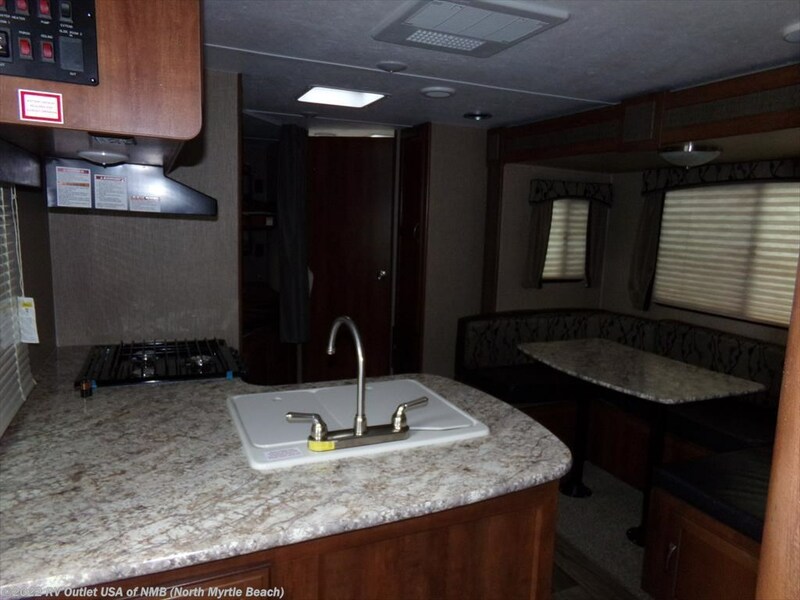 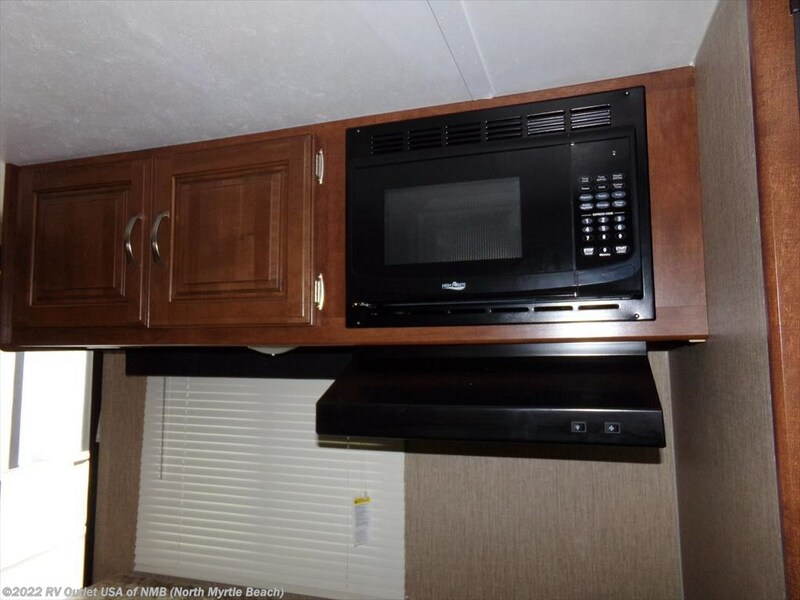 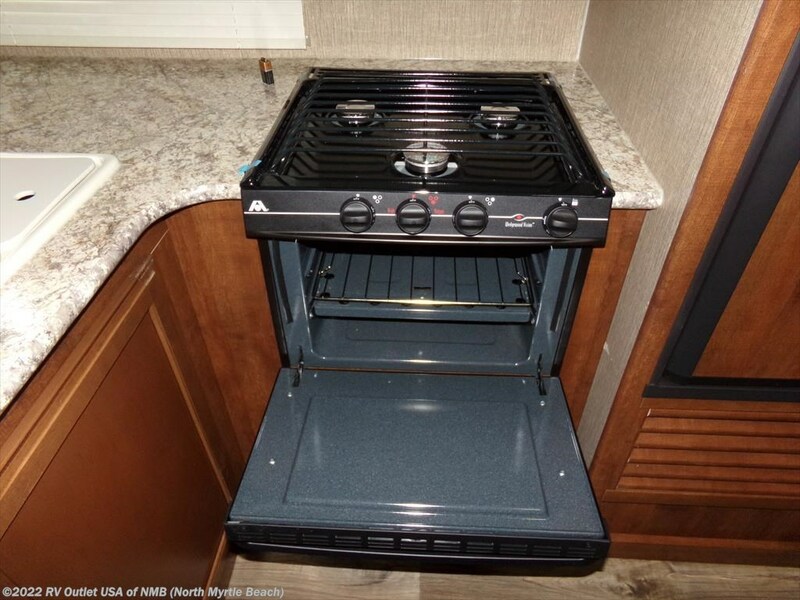 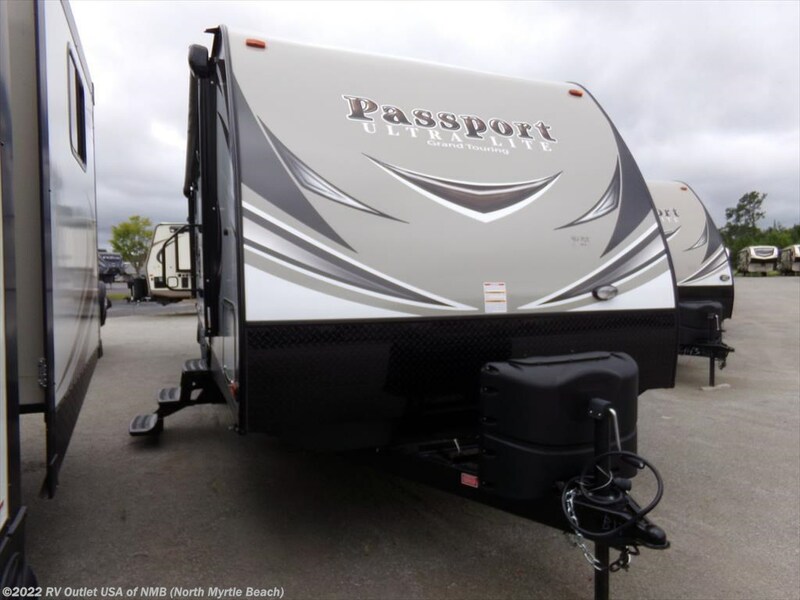 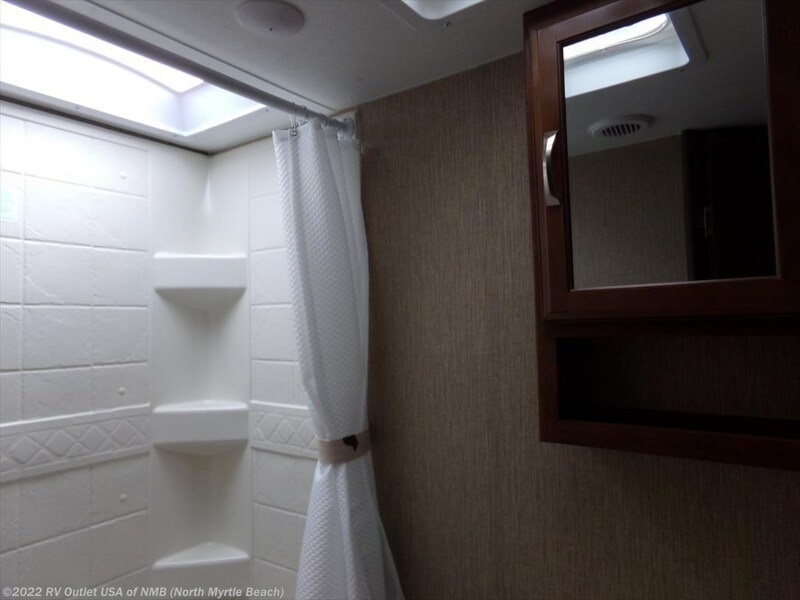 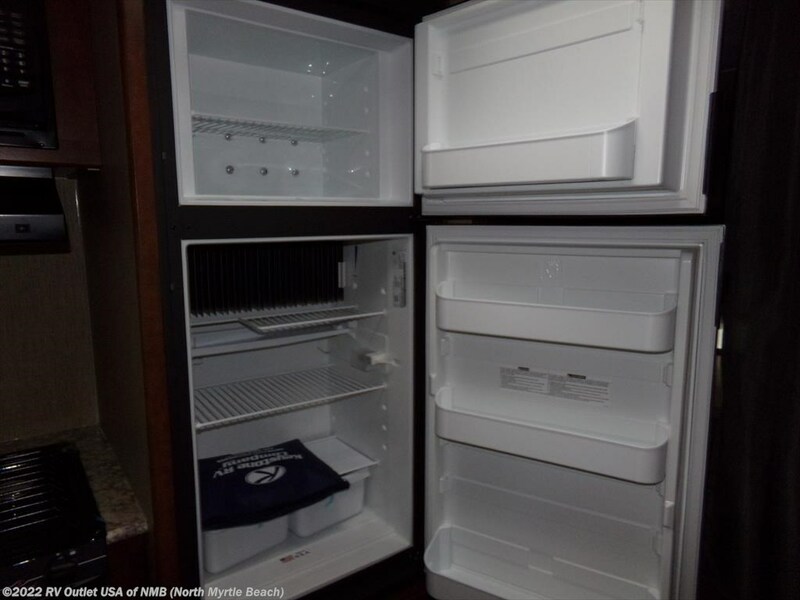 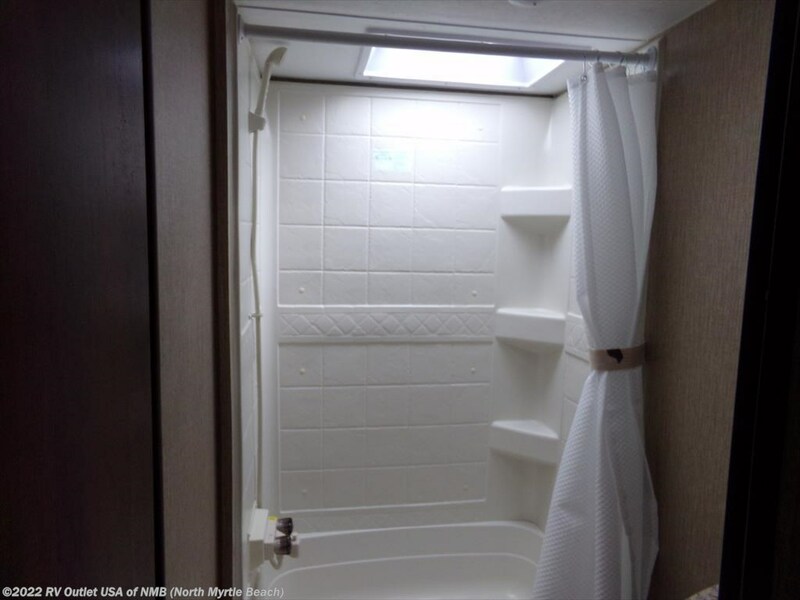 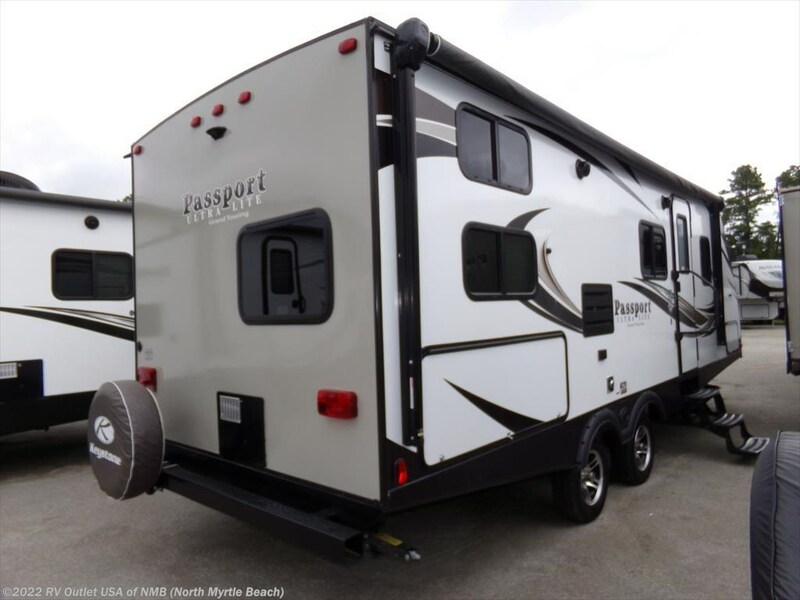 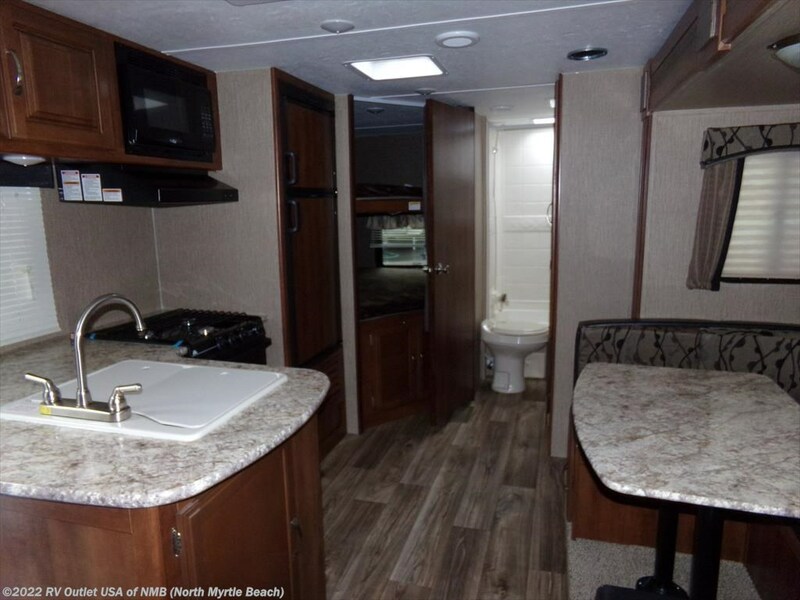 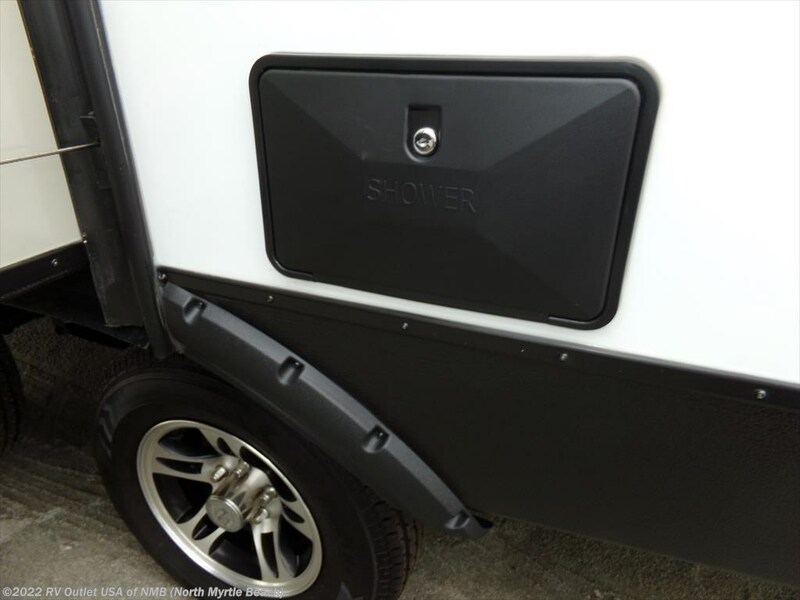 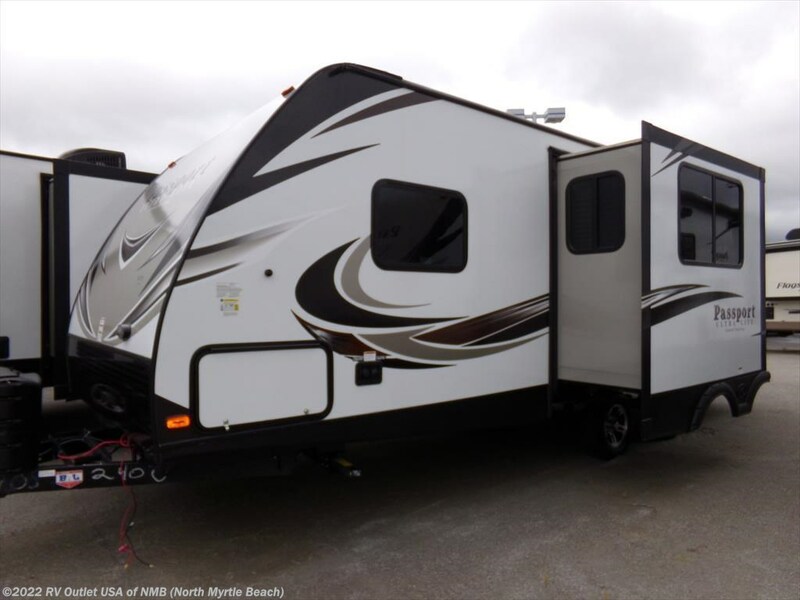 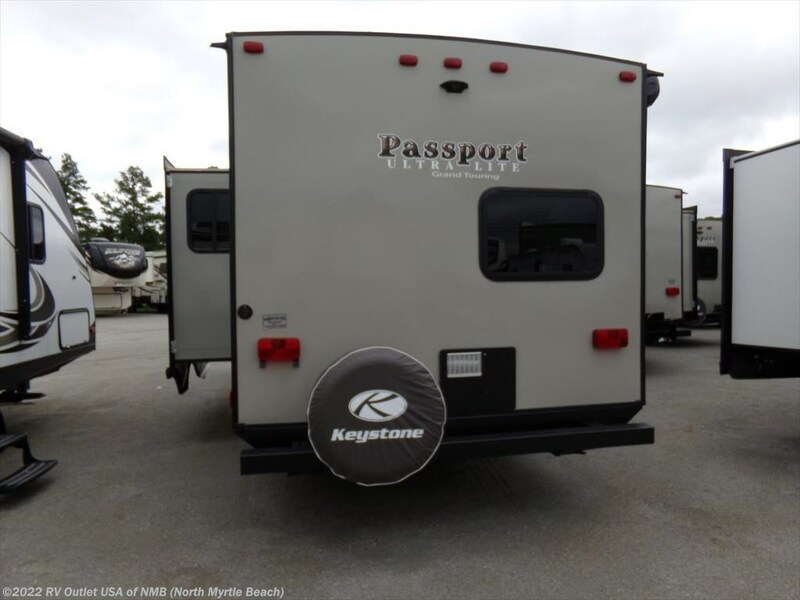 The rear of this RV offers a set of bunk beds and an enclosed bath with sink, toilet and underneath cabinet storage.